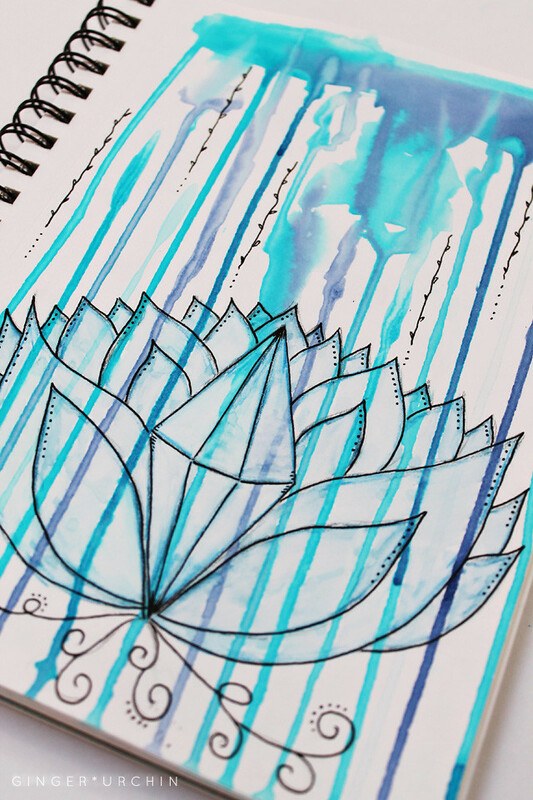 A peek into my explorations of the throat chakra and colour play with blue this week. I played also with some dripping and the need to overlay the image of the crystal-centered lotus flower that keeps popping up for me of late. The wax resist was lots of fun to reveal... Although this this is the lighter of the two blues to be explored through this rainbow journey, I kept wanting to pull in the full range of blue at times. What do you think of when you see blue? For me blue sparks thoughts of water, rain and vast blue skies that stretch from horizon to horizon. Being educated in England, I have always associated deep blues with uniform, so for a long time avoided blue of any kind outside of that environment. Today though I am drawn to the brighter, stronger blues of cobalt, azure, turquoise and kingfisher, taming them with deeper blues to calm their vibrancy. What of you? What does seeing blue spark for you? the series 'Colour Therapy' is a peek into my colour explorations led by Louise Gale and her Creative Colour Energy workshop.